Best Hydroturf color match for "01 GPR blue? Thread: Best Hydroturf color match for "01 GPR blue? 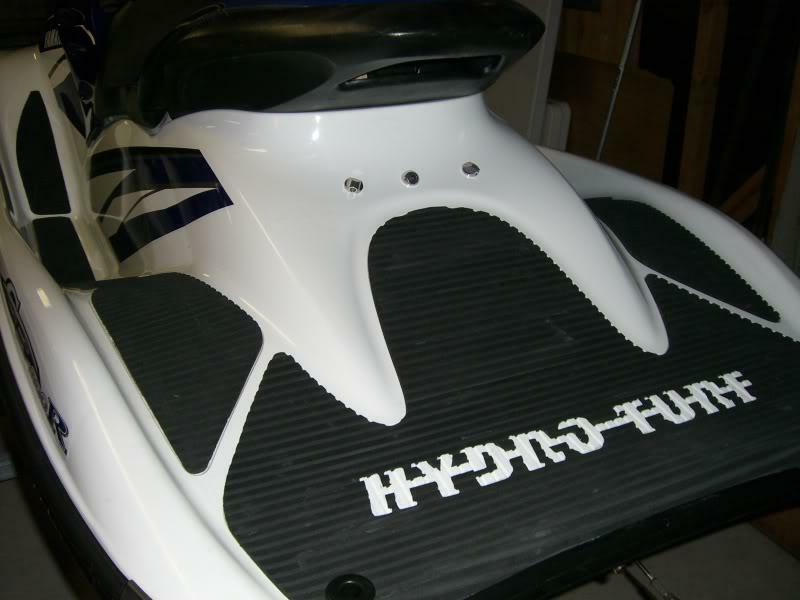 What is the best Hydroturf color match for '01 GPR blue? They have royal blue, blue, deep blue, ect. Has anyone choosen one that looked right? Thanks. I would go with the standard black. I think it looks best. I made the mistake of black/white marble hydroturf on my '01. Now I have the standard black and it looks like it should. It's all subjective though. What he said, only about blue. Do not do the blue. It is no where near a match. My wife is all over me to change it to black. You're right Kirk, the black looks like the way to go...I'll be doing turf here soon as my stock footwell pads have literally peeled completely off the hull, I have a tendency to sometimes over think things but with the hydroturf..I'm going black. Side note- My portside and starboard side hull decals are trashed for the same reason as the pads, any recommendations on decal kits available to give an 02' a fresh look? I have no interest in the Riva stage kits..at this point..looking for something a little different. You would be surprised how good it looks without the decals. I stripped mine thinking I would add a exotic signs kit but the no decals is nice. Really?? I never thought of that, perhaps I'll ditch the decals and just do some sort of banner decal instead..keep it clean and simple...good thought.. Thanks Kirk, do you remember which blue you chose? They have like 3 or 4 different blues. I was hoping one of them might be a close match. I might be wrong, but I think you can order a color swatch from Hydroturf. Order it and pick the one that you like. Royal blue. Can't imangine what the light blue would look like. I even called them to confirm when I got it that it was not the light blue. The Deep blue may be closer, but it is still a gamble. WTB set of 1200r cases for an 01 GPR....ASAP!